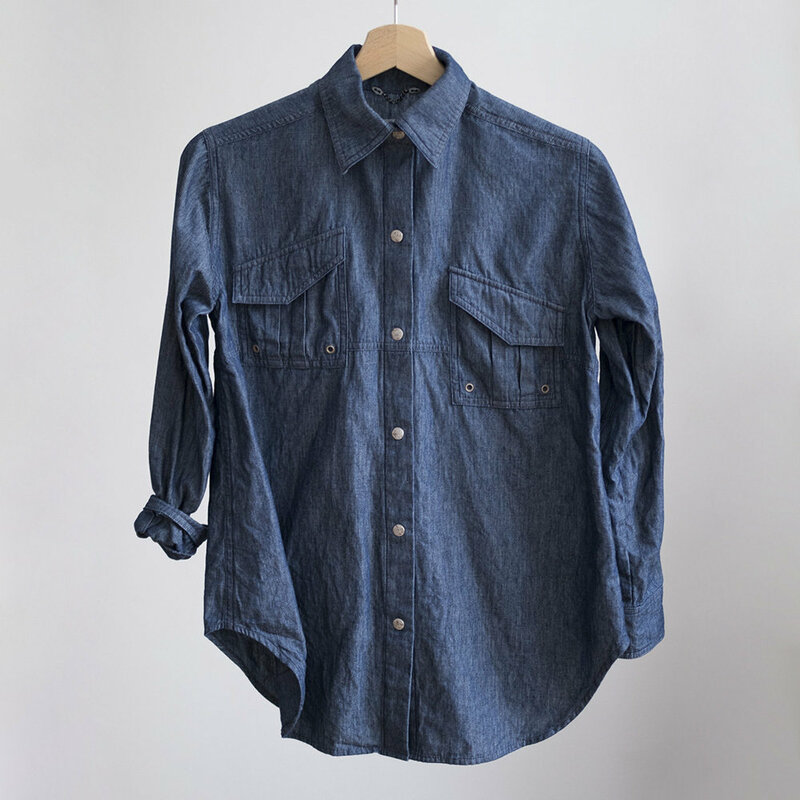 The W'menswear Field Shirt is a hard hitting, roomy shirt made from Japanese indigo ottoman cotton. The shirt is fitted with rusted eyelets at the pockets, and snap buttons. The shape is perfect for wearing untucked over wide shaped bottoms. Available in UK Sizes 8, 10, and 12. Our model Apurna is 174cm tall and wears a 10.